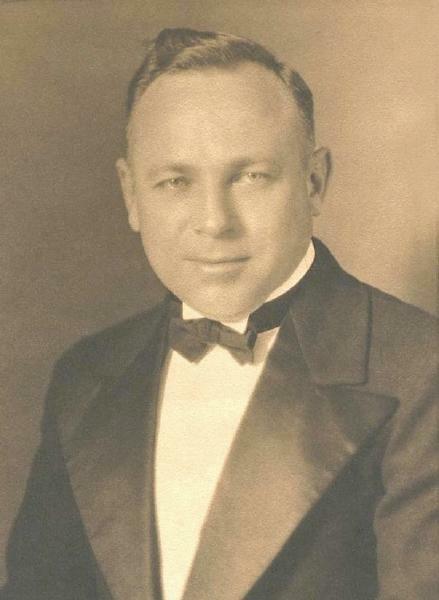 Harold Wilson Brauer was born on 12 September 1890 in Buffalo, Erie County, New York. Julius Henry Brauer and Agnes McIn. Wilson appeared in the New York state census of 16 February 1892 in Buffalo, New York. Other members of the household included Harold Wilson Brauer. The family name was recorded as "Brown." He was known as Wilson. Julius Henry Brauer and Agnes McIn. Wilson appeared in the US federal census of 1 June 1900 in Minneapolis, Hennepin County, Minnesota, at 2439 Columbus Avenue. Other members of the household included Harold Wilson Brauer, Erwin Craig Brauer and Rolin Julius Brauer. Julius Henry Brauer and Agnes McIn. Wilson appeared in the US federal census of 15 April 1910 in Buffalo, Erie County, New York, at 641 Grant Street. Other members of the household included Harold Wilson Brauer, Erwin Craig Brauer, Rolin Julius Brauer and Jean Douglas Brauer. The following appeared on 10 September 1912 in the Buffalo Courier: (Marriage Licenses) Harold Wilson Brauer, No. 541 Grant Streeet--Mazie F. Leavens, No. 265 Hoyt street. The following appeared on 11 September 1912 in The Buffalo Express: The marriage of Miss Mazie F. Leavens, daughter of Mr. and Mrs. Charles Henry Leavens of Hoyt street, to Mr. Harold Wilson Brauer will be solemnised at 2 o'clock on the afternoon of Thursday, September 12th, at the bride's home. Miss Agnes Lauderdale will be maid of honor; Miss Nellie Bangert, bridesmaid; Mr. Roy Stevens, best man; Mr. Craig Brauer, usher. He married Mazie Florence Leavens, daughter of Charles Henry Leavens and Jennie M. Temple, on 12 September 1912 in Buffalo, New York, at the bride's Hoyt Street residence, with the Rev. Raphael H. Miller of the Richmond Avenue Church of Christ officiating.. The following appeared on 13 September 1912 in The Buffalo Express: The home of Mr. and Mrs. Charles Henry Leavens of Hoyt street was the scene of a pretty wedding yesterday afternoon at 2 o'clock, when their daughter, Maisie F., was married to Mr. Harold Wilson Brauer by the Reverend Raphael RR. Miller of the Richmond Avenue Church of Christ. Palms, gladioli and asters adorned the house, the color theme being pink and white. A large mound of the flowers centered the bride's table of twelve covers. Mrs. Edward Willett played the wedding march and the bride, who entered with her father, wore white voile with lace and pearls and a wreath of lilies of the valley. Miss Agnes Lauderdale, the maid of honor, wore yellow satin and carried yellow roese. Miss Nellie Hangert, as bridesmaid, was gowned in white marquisette and carried pink roses. Little Miss Natalie Gary, in a blue and white frock, carried the ring in a basket of pink roses. Mr. Roy Stevens was best man and Mr. Craig Brauer groomsman. Mrs. Leavens wore lavender silk. Among the guests were Mr. Robert Temple, Mrs. William Temple, the Misses Florence and Margaret Temple of Canada, and Mr. and Mrs. Oliver, Mr. and Mrs. Wilson of Niagara Falls; Mrs. and Mrs. ??? of Newark, N. J. Mr. and Mrs. Brauer have left for a western trip and after October 1st will be at home at No. 265 Hoyt street. Charles Henry Leavens and Jennie M. Temple appeared in the US federal census of 1 January 1920 in Buffalo, Erie County, New York, at 265 Hoyt Street. Other members of the household included Harold Wilson Brauer, Mazie Florence Leavens, Jean Bernice Brauer and Harold Julius Brauer Winslow. He was an accountant with a manufacturer, according to the 1920 census. Julius Henry Brauer and Agnes McIn. Wilson appeared in the US federal census of 1 April 1930 in Buffalo, Erie County, New York, at 1314 Kenmore Avenue. Other members of the household included Harold Wilson Brauer, Jean Douglas Brauer and Victoria Frances Geisler. Son Jean Douglas Brauer and his wife Victoria also are enumerated with "daughter Drusilla Florence" (age 3) elsewhere in Buffalo. He was a private accountant, according to the 1930 census. He married Lena G. Tubbs, daughter of Irving Floyd Tubbs and Nellie Porter, circa 1933. Harold Wilson Brauer appeared in the 1944 Elmira, New York, City Directory at 583 Thompson Street employed by National Biscuit Company.. He officially witnessed the death of Agnes McIn. Wilson on 17 March 1945 at 56 Traymore in Buffalo, Erie County, New York; at her residence. The following appeared on 18 March 1945 in the Buffalo Courier-Express: [Died] Agnes M. Brauer, March 17, 1945, wife of Julius; mother of H. Wilson, E. Craig, Rolin J. and Jean D. Funeral from family residence, 56 Traymore Ave, Tuesday afternoon at 2 o'clock. Friends invited. Deceased was a member of Occidental Chapter No. 571, OES; Highland Court No 132, O of A; and Order of the White Shrine of Jerusalem. In March 1945, Harold Wilson Brauer was living in Elmira, Chemung County, New York, at 568 Cypress Street at the time of his mother's death. Harold Wilson Brauer died on 25 February 1958 at age 67 in Waverly, Tioga County, New York. Lena G. Tubbs became a widow at his death. He was interred at Glenwood Cemetery, Waverly, Tioga County, New York. The following appeared on 26 February 1958 in The Evening Times: Harold Brauer, 67, of 152 Center street, Waverly, a native of Buffalo and resident of Waverly since 1945, died last night at the Tioga County General Hospital. He was an employee of the National Biscuit company for 20 years before his retirement. He was a member of the Waverly Baptist Church, a life member of the Parish Lodge 292 F and A M of Buffalo and a 32nd degree Mason. He is survived by his wife, Lena, one daughter, Beverly at home, three brothers, E. Craig Brauer of Williamsville, N. Y., Rolin Brauer of Kenmore, N. Y., and Gene Brauer of Buffalo. The body is at the Russell Funeral Home, 462 Fulton street, Waverly, where friends may call Thursday and Friday and from where the funeral services will be held Saturday afternoon at 2 o'clock. Rev. Floyd N. Darling, acting pastor of the Waverly Baptist Church, will officiate. Burial will be at the convenience of the family.